Father’s Day is June 21st! 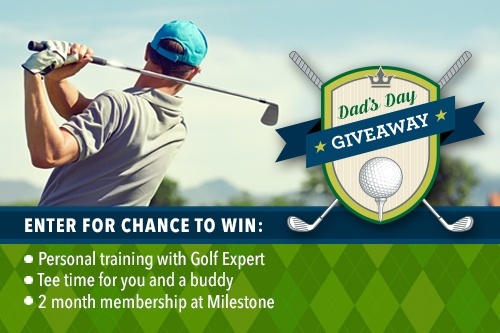 Give Dad a day off with this great golf prize pack. Enter now for your chance to win 4 sessions of personal training with our golf fitness instructor, a tee time for Dad and a buddy at a local golf course AND a 2-month membership at Baptist Health Milestone Wellness Center! *If our prize winner is already a current Baptist Health/Milestone Wellness Center member, his or her account will receive a membership credit for the membership prize length.